Buick last month posted its best April retail sales in 15 years and best total sales for April in 12 years. The brand’s retail sales totaled 18,743 units, up 14.8% year-over-year, and total sales amounted to 20,735 vehicles, up 17%. Buick’s two biggest growth drivers by far were the Encore and Envision crossovers. The former delivered its eighth consecutive month of year-over-year retail and total sales increases, achieving its best-ever April mark in the process. Total sales were up 27% at 8,365 vehicles delivered, and its to-date sales are up 19.5% at 28,444 vehicles delivered. 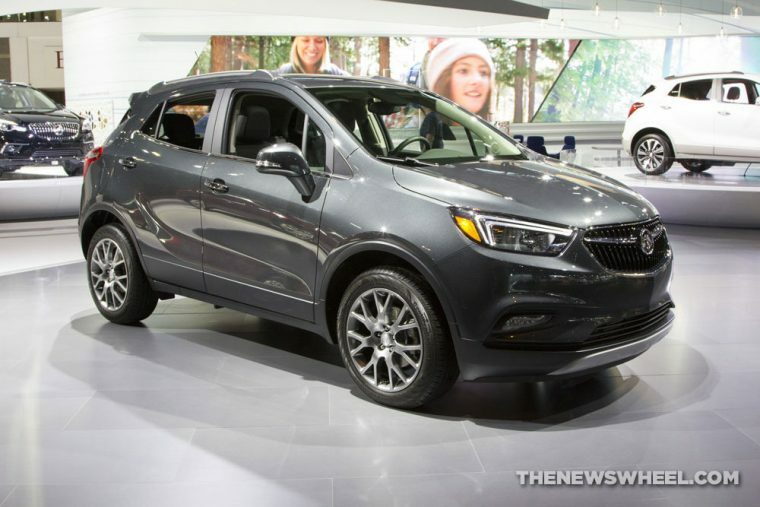 The Envision has quickly ascended to the position of Buick’s second-best-seller, with a total of 4,297 crossovers delivered in April and a best-ever 3,576 units sold at retail. Through four months, the Envision has surpassed total sales of the Enclave with 13,207 units delivered. The Enclave’s overall sales were down 20.8% with 3,582 units sold, but its retail sales increased 4%. The Buick LaCrosse led car sales for the month with a 9.4% year-over-year increase and a total of 1,983 units delivered. Buick’s other three cars—the Cascada, Regal, and Verano—all saw double-digit year-over-year declines in April; all four Buick cars are down double digits through the first four months of the year. On the strength of the Encore and Envision, Buick’s year-to-date sales are down only 1.5% from its pace through the first four months of 2016 with 70,940 units delivered.